Now, I'm not a fan of Fanta drinks, but this seasonal limited release has become a favorite during this warmer, humid weather we've been having. Honestly, with humidity levels of 94%, it's been insane! Anyway, back to the drink...Who would've thought that a carbonated pear-flavored soft drink would be so good? And it is!! THis Fanta drink is so refreshing and delicious; it's become my "go to" drink to cool me down. Discovered any new refreshments recently? OMG!! I SOOOO wish they sold this in Canada. SO Jelous! I freaking LOVE pear flavoured EVERYTHING! 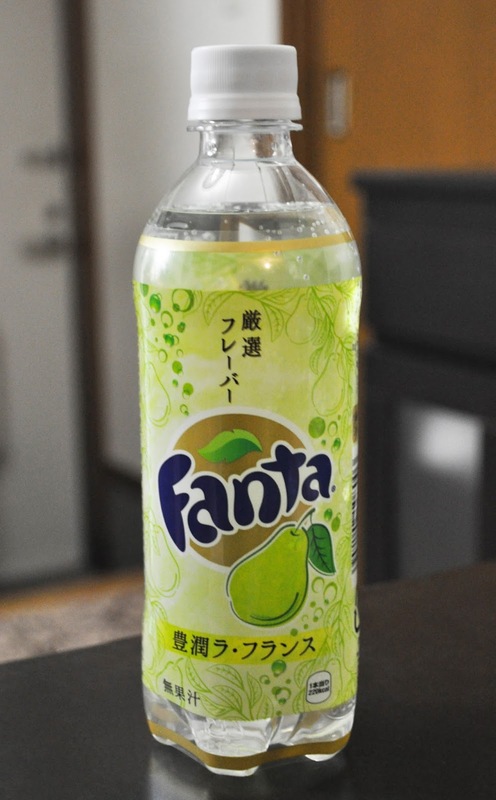 If you LOVE pear flavored things, then this drink is for you :) I need to stock up on some more bottles! Wish Japan actually came out with cool stuff in August, like, they release seasonal limiteds every other day, but NOTHING ever comes out in August when I visit. Will come back to JP this August and pray to the Japanese cherry trees there WILL be something limited and tasty to make up for the humidity! I'll keep an eye out for a tasty treats in August. When are you coming to JP Anna?